Teaching the Core Skills of Listening and Speaking, for an exciting, free webinar to learn how you can use digital tools in your classroom to develop competent communicators. Founded on an innovation championed by businesses like FedEx and Google, "the genius hour" sets aside school time (at least an hour, every week) for students to work on something they are passionate about. This video outlines some basic tenets of implementing "genius hour" programming at your school and points to further resources (tutorials, lesson ideas, and connections to other educators) at www.geniushour.com. Post written by Mikaela Dwyer, a journalism student at Southern New Hampshire University in Manchester. She considers herself a human rights activist and spends her time volunteering on campus and with various local nonprofits. After graduation, Dwyer hopes to join the Peace Corps and then become an investigative journalist for human rights issues. Research has proven that children who play games have the opportunity to become great creative and critical thinkers as well as quick problem solvers, resourceful engineers, and empathetic individuals. For years, however, the media has tried to convince parents and educators that gaming is a way to escape real-life problems and a real waste of time. 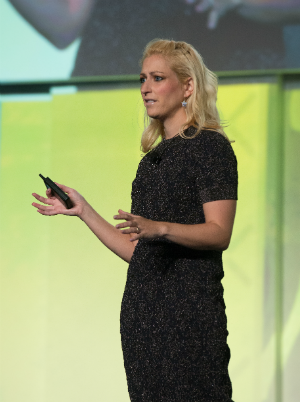 Jane McGonigal, game designer and author of Reality Is Broken: Why Games Make Us Better and How They Can Change the World, held a session at the 2014 ASCD Annual Conference advocating that gaming can be an incredibly positive thing. It is our responsibility as the adults and role models in the children's lives, however, to focus on the benefits of gaming when talking to them. In a world of test-driven instruction, teachers are still expected to have effective teaching strategies and teach children to love reading. It is very important that we as professionals take a look at how we introduce reading to children; what strategies we use to teach them to love reading; and how we can make it fun, engaging, and meaningful. This article discusses teaching objectives, skills that must be taught, and how they can be organized and successfully implemented by using children's literature. You may have to get a little creative, but creativity makes lessons engaging and worthwhile! Often as teachers we follow this movie lawyer cliché in our classrooms: We ask questions that we have seen lead our students through a lesson like a well-rehearsed play. While the actors may change, the roles and the conclusion remain the same. It allows us to avoid surprises and the distractions, disruptions, and conflict that comes with them. The problem with this classroom is that is a poor reflection of how learning actually happens. Learning never proceeds forward like a predictable comedy or drama, it is often surprising, and it is filled with distraction, disruption, and conflict. ED Pulse Poll Results: What Is the Most Important Task That Could Be Accomplished by Teaching Using Essential Questions? ASCD continually seeks to provide solutions to the challenges that face educators of all levels. Recently, the ASCD SmartBrief ED Pulse poll asked readers about tasks that can be achieved by employing essential questions. Personalized learning seems like such a perfect model of teaching and learning. In fact, "student-driven, competency-based learning that can happen any time, anywhere" seems too good to be true. As teachers we read about schools implementing personalized learning and we immediately turn to utopian dreams of working there and teaching that way. Soon after, we realize we don't teach in that school and lament "if only ..." We pinpoint reasons why the personalized learning models portrayed in the articles would be impossible within the confines of our school or district still based on the factory model. In the interest of our students we must move beyond that kind of thinking. Fortunately, we can if we keep our ideals in mind and work with what we have. We simply need to shift the conversation from all the reasons why we can't completely personalize student learning, to how we can make learning more personal. How do we support our students in being career and college ready? This is not a new question, and educators continually struggle with what that even means. We leverage rigor and relevance as keys to prepare students for the postK–12 world, but what does that look like? What are some practical ways to promote rigor and relevance and target specific Common Core State Standards? One key method, which is not new, is authenticity. Teachers can support students in meeting the Common Core by creating more authentic reading and writing tasks. Here are some ideas to consider as you target specific Common Core standards in instruction and assessment. The whole child movement, in my view, is weighed down by society's current inability to conceive of children as whole beings. Instead, we dissect them. Academic learning is distinguished from social-emotional learning, as if brain and heart operate in isolation. The brain itself gets divided into forebrain, hindbrain, mammalian brain, limbic system, and so on, furthering the mistaken assumption that the brain performs its miracles through isolated modules. A steady diet of units, pacing guides, and curriculum strategies reinforces this skewed view by taking a narrow aim at stimulating a child's cognitive apparatus rather than their inner life.